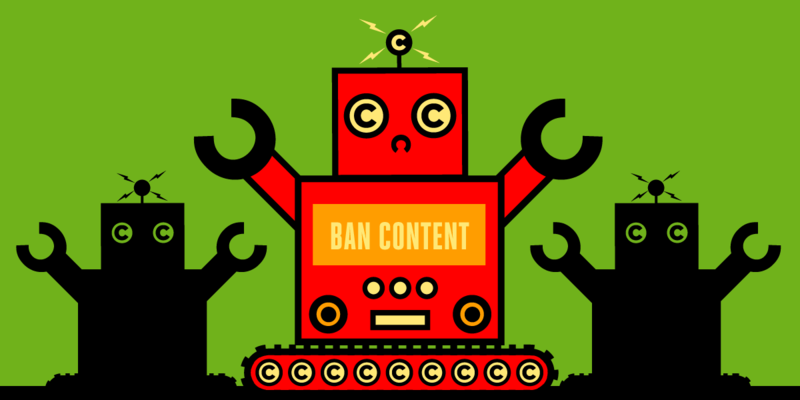 Call to action against EU Copyright Directive: Help soften the blow to the internet! On 20-21 June, the European Parliament will vote on the Copyright Directive. Members of the parliament are the only ones that can stand in the way of bad copyright legislation. Tell them you need them to protect your Internet against surveillance and censorship machines! Via the previous links you can easily make your voice heard by sending messages to your members of EU parliament, wherever you live in Europe. Here is a post from Maritje Schaake, Center for Humane Technology advisor and Member of the European Parliament, about why opposes these changes. Yes, thank you @sandyparakilas! I just shared on LI. Unfortunately article 11 and 13 have passed the commission, and are now moving further through the EU process. CALL TO ACTION: It is NOT too late to raise your voice! Share your discontent on Social Media! AND ALSO: Use the tools in my post above to email your MEP’s! Unfortunately the EU went ahead and passed most of the proposed regulations without significant modification. A very bad day for the internet that will have big implications. An update on the progress of the EU Copyright Directive. It is not too late to get changes to the texts, before they are turned into law! Raise your voice and contact your Member of Parliament, and help soften the blow this will give to the open en free internet. by Member of Parliament Julia Reda who also has a good overview of the entire EU Copyright Reform. The internet wouldn’t be the internet if you couldn’t find completely opposite opinions. Found this blog via Mastodon from a site involved in the Music industry. It is quite harsh and saying that e.g. Creative Commons, Electronic Freedom Foundation and Free Software Foundation are involved in Orwellian doublespeak on behalf of Big Tech. What a pity. I feel that the EU mindset is stuck in the wrong gear, battling the battles of today with political ideas from long ago. This is counterproductive bureaucracy at its worst, and is draining money from EU members for no known viable gains. This proposal would be unworkable, how can the internet possibly comply with those kinds of copyright rules? Back to policy, this also shows that the many lawmakers and citizens in the EU are stuck in the old-school way of thinking, of heavy-handed regulation and even retribution against tech companies as a “solution”. While some regulation is welcome, the kind of regulation that we need is the kind that increase competitiveness and makes doing business easier, making the EU and its members more competitive on a global basis. Not being competitive on a global basis means that other countries will continue to win in the local EU market and abroad, shrinking the tax base for EU members as well leading to increasing financial hardships for EU citizens. Instead the proposals the the EU and many of its members continue to advance would continue to encourage smart people and companies and the tax revenue they contribute to abandon the EU en masse, frightened and shocked, to other places where they can live and work without draconian hardships.